Need help but too busy to hire? Call us at (760) 547-5018.
personnel and it’s been very nice working with you during the past 6 years. 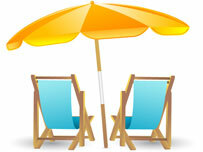 For our business Island Staffing has come through every time. Whether it is a desktop support person or a highly skilled applications programmer, we have had nothing but the best people from Island Staffing. While we primarily used them for our San Diego based operations, we were delighted to find that they can place people in any of the states in which we operate. 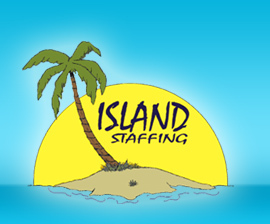 The staff at Island Staffing takes the time to understand our requirements and is efficient in locating, screening and processing the people that we need. Whether it is for temporary staffing or temp to perm positions, they can handle it. Island Staffing has always displayed a high degree of integrity, responsibility and follow-through. They are able to find qualified and diversified candidates to fill those niche positions. In addition, they have excellent customer service in both responsiveness and assertiveness to find the most qualified candidates. [Island Staffing] has always gone the extra mile in getting us the staff we need. What impresses me the most is how [they] don’t stop being involved once a candidate is placed. Where most agencies are only concerned with getting someone in the door [they] continue working with us and the new hires after they have been placed. It really shows that [they] care a lot about not only finding the right people for us but, also about making sure they are successful after they have been placed.